The Reporters Committee for Freedom of the Press and BuzzFeed Journalist Jason Leopold are working to increase public access to electronic surveillance court records used in criminal investigations in an ongoing case currently on appeal to the United States Court of Appeals for the District of Columbia Circuit. Court orders authorizing the use of Pen Register/Trap and Trace devices, which record metadata such as telephone numbers and email addresses. Even after criminal investigations are closed, these records remain sealed indefinitely, limiting the amount of information that the public has about why and how often the government obtains communications records using these tools. Unsealing these records will enable journalists to review newsworthy records in closed investigations, and permit the public to monitor the government’s use of these surveillance tools. 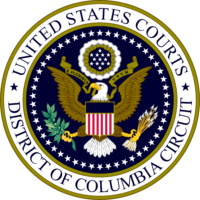 The Reporters Committee and Leopold have appealed two 2018 rulings by Chief Judge Beryl Howell of the D.C. District Court, who denied access to the court records themselves, including the docket sheets, and held that the public had only a limited common law right of access to certain information extracted from those records. Under the district court’s rulings, only limited docket information associated with sealed applications to use any of the surveillance tools described above are to be released in reports every six months. Although the case addresses public access to electronic surveillance records filed in the federal district court in Washington, D.C., the implications extend far beyond that one jurisdiction. Currently, there is very limited public access to electronic surveillance court records in federal district courts around the country, and this is the only case of its kind currently before any federal appellate court. Earlier this month, the U.S. District Court for the Western District of Washington agreed to track and document warrantless surveillance requests that occur under some federal law authorizations. This change of practice represents progress for the public’s right of access to these types of court records. Four groups filed friend-of-the-court briefs with the D.C. Circuit on January 25th in support of the Reporters Committee and Leopold: a coalition of media organizations represented by Davis Wright Tremaine LLP; a group of First and Fourth Amendment scholars represented by Charles Sims of Yale Law School and Hannah Bloch-Wehba of the Thomas R. Kline School of Law at Drexel University; the Electronic Frontier Foundation and Riana Pfefferkorn; and a group of former United States magistrate judges represented by Harvard Law School’s Cyberlaw Clinic at Harvard’s Berkman Klein Center for Internet & Society. View the full brief here.